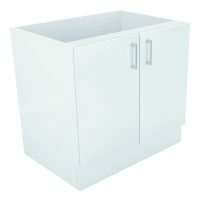 Add more storage space to your kitchen with this 90cm Alpine Corner Base Cabinet. 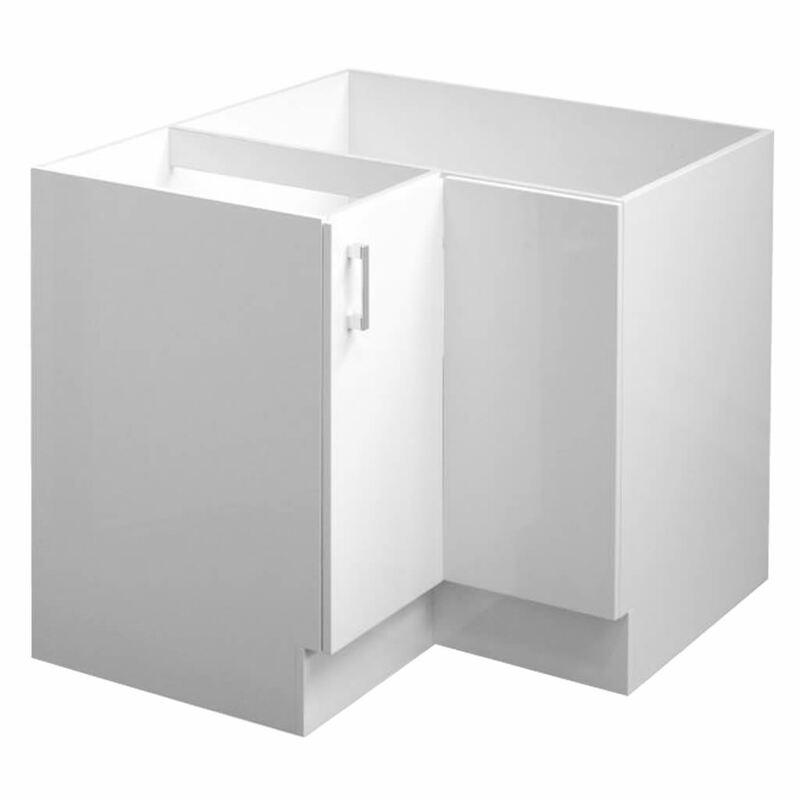 Attractive and practical, this cabinet is cleverly designed to store away your kitchenware when not in use. With a right hand hinged door, this cupboard comes completely preassembled- so you simply need only install it. 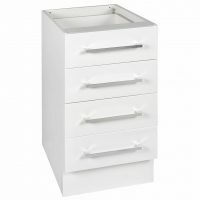 This Alpine Corner Base Cabinet sports a classy high-gloss white finish and a stylish chrome handle. The hinges are equipped with a soft closing mechanism to allow gentle and noise-free operation. Thanks to a durable 2 pack painted finish, the surface of this cabinet is hardwearing, smooth, scratch resistant and incredibly easy to clean. This cabinet is built out of high-grade HMR board, which makes it durable and resistant to moisture. A sturdy frame construction ensures that the cabinet will last for many years. As a mark of genuine quality and to ensure your peace of mind, this Alpine Corner Base Cabinet features a 5 year guarantee on materials and workmanship. Rest assured – you’ll be buying a quality product. Make your kitchen space more functional. 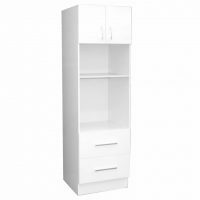 Buy this 90cm Alpine Corner Base Cabinet from Ross’s Discount Home Centre at an unbeatable price!